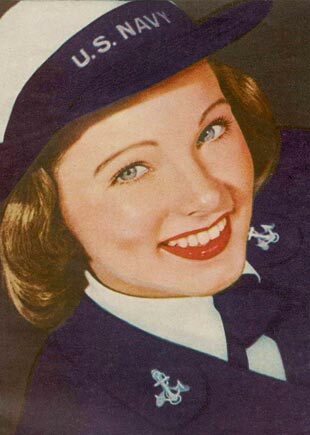 From the yellowed pages of a wartime Life magazine, a Vixen in uniform smiles brightly on this Memorial Day. During World War II when this photograph was taken, women were entering the military in numbers previously unheard of. And the designer of the WAVES uniforms (among others) was none other than the couturier Mainbocher. These ladies not only served well, they looked well too! Happy Memorial Day to those who have served, and to those who enjoy the benefits of those serving.